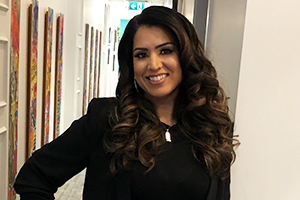 Dr. Safia Kassam is a licensed Naturopathic Physician certified in intravenous therapy, Bowen therapy, acupuncture, and holds pharmaceutical prescription rights in BC. At present, Dr. Kassam has a focus in digestive disorders, including SIBO, as well as hormone imbalances, and weight management. Dr. Kassam is a professional member of the Canadian Association of Naturopathic Doctors (CAND) and BC Naturopathic Physicians Association (BCNA). Dr. Kassam graduated from Simon Fraser University in 2006 with a Bachelors degree in Kinesiology. During this time, she also completed five terms with the Cooperative Education Department as an Ergonomic Engineering Consultant in Michigan, with the designation of a Certified Professional Ergonomist (CPE). Although this career was very rewarding, Dr. Kassam knew her true calling was in the field of medicine. In 2009, Dr. Kassam returned back home to BC to pursue a career in Naturopathic Medicine. During the intense 4-year program at the Boucher Institute of Naturopathic Medicine, she was also a part of Naturopathic Doctors International (NDI), a brigade providing free Naturopathic care to residents of a small town on Ometepe Island in Nicaragua. Using local medicinals as well as acupuncture, massage, and counseling, this brigade delivered naturopathic care to over 150 residents, from newborns to the elderly. Conditions treated ranged from joint pain, gastrointestinal conditions, emotional trauma, and gynecological concerns requiring pelvic exams. Dr. Kassam is a sports enthusiast. She grew up playing competitive fastpitch softball, floor hockey, and basketball and is an avid Vancouver Canucks and Seattle Seahawks fan. She also enjoys spending time with her nieces and nephews, and traveling.